If you own either an Xbox 360 or an Xbox One, you should go ahead and download The Witcher 2: Assassins of Kings for free right now, assuming you haven't played the game already. Microsoft is promoting the fact that The Witcher 2 is now available through backwards compatibility on Xbox One, and part of that promotion involves the company giving away the five-year-old title for free between now and February 5th. You'll have to be a resident of the United States, Canada, United Kingdom, France or Germany to grab the free game, and it's available on both Xbox 360 and Xbox One. Alongside the launch of The Witcher 2 through Xbox One backwards compatibility, Microsoft have announced the availability of nine other titles, including Counter-Strike: GO, Skullgirls, Soulcalibur, and Age of Booty. 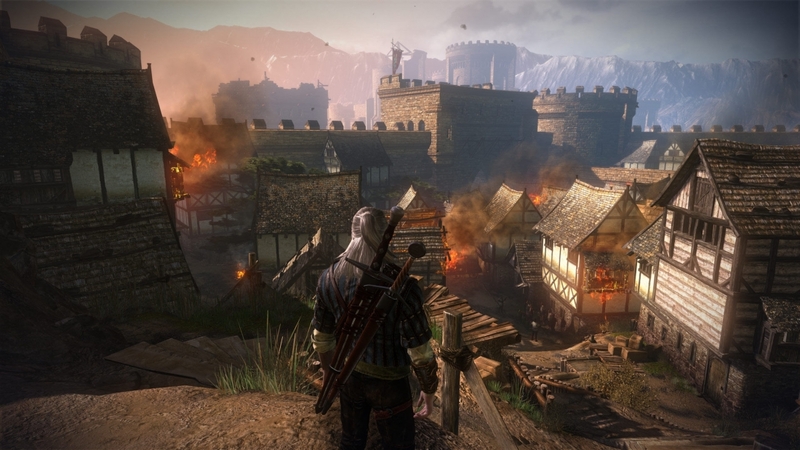 The Witcher 2 is clearly the biggest inclusion on the list, and one of the most technically complex to emulate efficiently. Microsoft also announced that future backwards compatibility titles will be released when they become ready, as opposed to at a set monthly launch date. This will bring the best Xbox 360 titles to Xbox One faster than before, and you can continue to vote for which titles should be included through the Xbox Feedback program. With the inclusion of The Witcher 2, the Xbox One backwards compatibility library now includes a decent number of the best Xbox 360 titles, including Assassin's Creed II, Borderlands, Fallout 3, the entire Gears of War series, Halo Reach, Dirt 3, Portal, Mass Effect, Just Cause 2, and more.